Episode 15 of the Emptyspiral Podcast is here! 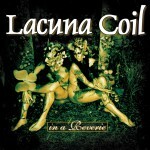 This week we talk to Ivana, who has been running a number of Facebook pages for members of Lacuna Coil, as well as our in-depth review of the song ‘My Wings’, taken from the In A Reverie album. We hope you enjoy the show and send us some feedback. Here’s the AMV for My Wings. It is actually Final Fantasy IX footage, not FF VII. Matt’s mistake!